Components & Accessories - kettenbach-rostfreis Webseite! 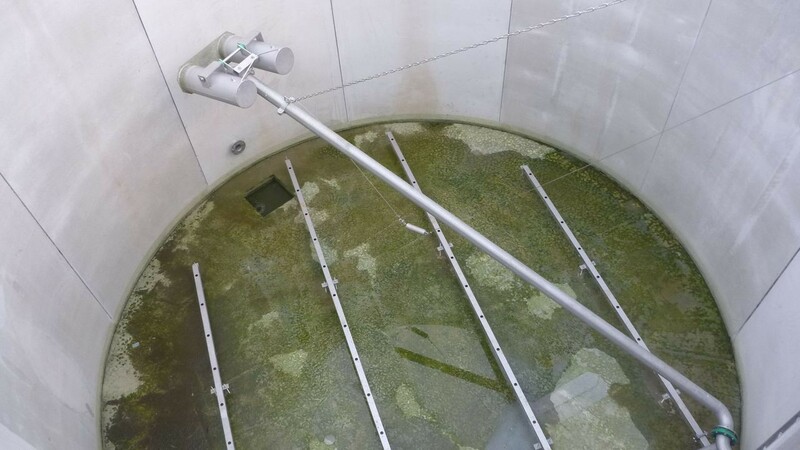 It is important that it is possible to remove these components from the water when necessary. 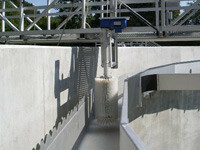 This can be done automatically using floats or by hand with a winch or screw hoist. 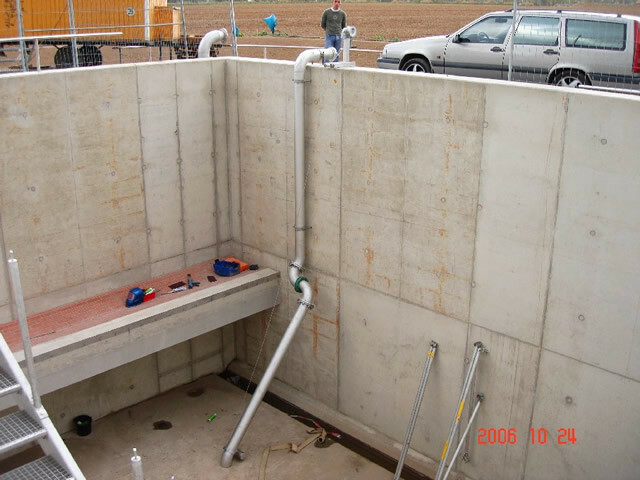 A special swivel joint has been developed for situations that cannot be directly accessed. 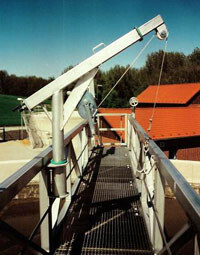 Hoists with rigid or adjustable extensions are produced. 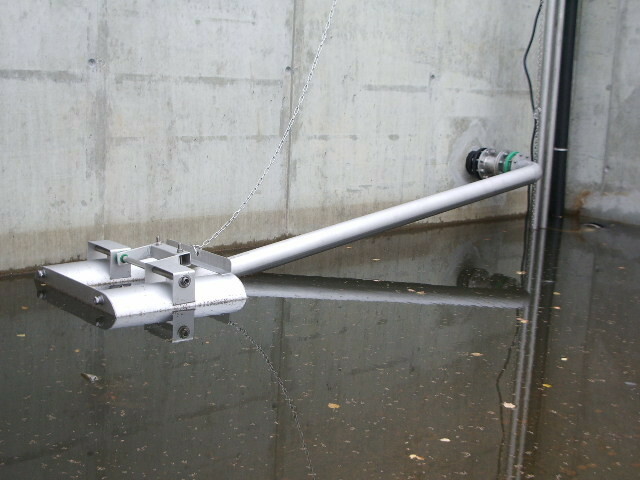 The mounting base can be either vertical or horizontal. 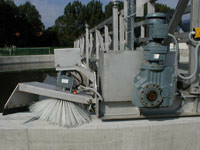 Cleaning systems with motor-driven brushes are produced for overflow channels. 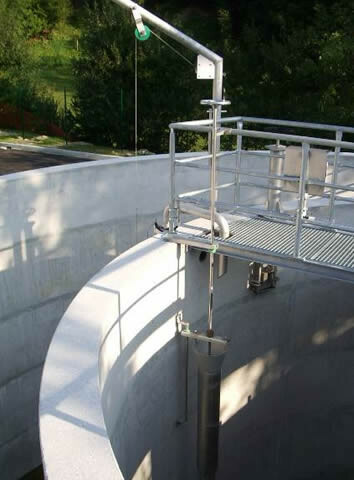 The inner walls of the channels/troughs can be cleaned by manually adjusting the unit A torsion control unit automatically regulates the pressure against the channel/trough walls. 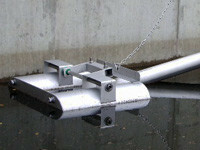 A rotating brush (optionally with a container for deicing fluids) is normally installed to clean the scraper bridge tracks of spiral scrapers in the winter. It is controlled either manually or by a thermostat.